c) Summarizing all the transactions which take place in the day to day business. This is done for a particular period of 12 months called a 'Financial Year'. It generally starts on 1st April and ends on 31st March. All the information of this period taken for Interpreting Financial events is helpful for decision making. 1) Assets [What he owns]. 2) Liabilities [What he owes]. 4) Accordingly the future planning. In short accounting means recording the transactions. So what is transaction? Transaction is an event, which definitely affects the financial position of the business. Hence, to become a transaction the event must fulfil the condition of making some change in the expenditure, income ownings and owings. The event taking place must make effect on profit or loss of the business. Merely placing of an order or just an enquiry is not a transaction. i. Tangible - which can be touched, felt and measured] e.g. Cash, building, furniture, stock etc. b. Nominal - It deals with the expenses, losses, incomes and gains e.g. rent, salary etc. (C) Sundry Creditors: Company purchase material or any other things on credit. Then the list of all companies or persons is under sundry creditors to whom company purchased material. 7. Suspense Account: This account is used to enter the transactions whose details are not to be finalized. Step 1: Select 'Create' company option from Company Info. Menu either by pressing C or by clicking on this option. The following screen will appear. ii) Name Type the name of the company. This name will be displayed in the language in which the company is being created. iii) Mailing Name & Address Type the full address of your company. This will appear on all the reports. iv) Statutory Compliance for The countries are selected from the given list of countries. The statutory features and Base Currency Symbol are enabled in accordance with the country selected. v) State Select the state from the drop down list of Indian state. vi) PIN Code Type the Postal Index Number. vii) Telephone Number Type office Telephone No. viii) E-mail Address Type the E-mail address of the company. ix) Currency Symbol type Rs. For India. a) Accounts only: Where businesses do not deal with Inventory e.g. Professional. b) Accounts with Inventory ' It maintains both Financial accounts as well as Inventory. xii) Books Beginning From The date from actual transactions started but this date should be later than the starting date of Financial Year. xiii) Tally Vault Password (if any) If you wish to maintain company data in encrypted form. xiv) Use security Control This feature of Tally sets up authority levels that decides the right of the user for data manipulation. xv) Use Tally Audit features If set to 'yes' the changes in transactions or ledger masters can be tracked. a) Base currency symbol Rs. g) Symbol for Decimal Portion It is paise by default for India. h) Decimal Places for Printing Amounts in Words ' Specify the number of decimal places for printing the amounts in words. Step 2: Press Enter and accept the screen. Now the company gets created which can be loaded from the Company Info. Menu as and when desired. wish to shut down from the list of companies and press Enter. Altering / Modifying Existing Company You can modify, at any time, any information given whilst creating the company by Alt + F3 ' Enter. A company can be DELETED only in the alter mode by pressing Alt + D.
There are underlined and non-underlined buttons on the panel. F3 Company - to switch from one company to another active company. F3 This invokes company info menu. F11 Features. You can select or modify different features of a company. When you select Accounting Features option, the following screen will appear. - Integrate Accounts and Inventory If set to 'Yes' will consider the inventory / stock as entered in accounting entries. If set to 'No' will ignore the inventory books figures and picks up manually entered closing stock. - Income / Expenses Statement Instead of Profit and Loss If non trading accounts then set to 'Yes'. - Allow Multi-currency? Accounts can be maintained in more than one currency. - Maintain Bill wise Details ? It set to 'Yes' will enable you to track the invoice wise details of the Debtors and Creditors. (for Non Trading A/cs also ?) If required for other than debtors and creditors e.g. to track the installments of loan. - Activate Interest Calculation Interest can automatically be calculated by Tally based on the specified interest rates and style. (use advance parameter) Useful where interest rates change from time to time. - Maintain Payroll If set to 'yes' salary register can be maintained. - Maintain Cost Centers Allocation of expenses or incomes is possible. - Use cost centers for job costing To track the expenses and incomes related to particular project. 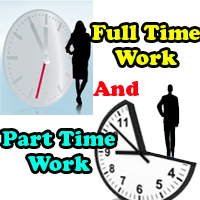 - More than one Payroll / Cost Category More than one Primary cost category. - Invoicing If set to 'yes' sales entries can be done in Invoice format in which taxes and duties are calculated automatically. These entries themselves can be treated as 'Sales bills or Tax Invoices'. - Use Debit / Credit Notes Set 'yes' if required. - Enter Purchases in Invoice Format If set to 'yes' purchase entries can be done in Invoice format. - Use Invoice Mode for Debit / Credit Notes Set 'yes' if invoice format is required. - Maintain budgets & Controls - Set 'yes' if required. 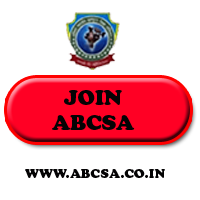 - Use Reversing Journals and optional Vouchers - Entries can be made optional if set to yes. When you select Inventory features option in the above window, you have the following Inventory Features Window. 1) Integrate Accounts and Inventory? Same as in Accounting features option. 2) Allow Zero Valued Entries Set it to 'yes' if you want to permit in vouchers. 3) Maintain Multiple Godowns If more than one locations are required then set the option to 'yes'. 4) Maintain Stock Categories? If your inventory hierarchy requires categories to be maintained then set this option to 'yes'. 5) Maintain Batchwise Details? If stock items are required to be stored according to batches then set this option to 'yes'. 6) Set Expiry Dates for Batches? If your goods have expiry dates like medicines and other perishables then this option is set to 'yes'. 7) Use different Actual and Billed Quantity? When goods billed are different than those from actually delivered or received then this is set to 'yes'. e.g. one on one free. Allow Purchase Order Processing? 'yes' if orders are required to be processed. Allow sales order Processing? 'yes' if sales order are required. Invoicing Same as explained in Accounting Features. Set Multiple Price Level ? Multiple price lists can be maintained if set to yes. Use Tracking Numbers The relation between two sales, purchase documents can be maintained. Use Rejection Inward / Outward Notes ? Rejection of goods can be maintained separately and not through Debit / Credit Notes. When you select statutory and Taxation option in the above window you get all the taxation option which we will discuss later in detail. Groups It is advisable to Group / Classify ledger information based on their functions. 1) Capital It means the capital of a Proprietor, partner or share capital. kept aside e.g. Capital reserve, depreciation reserve etc. b) Cash in hand Cash, Petty cash etc. c) Deposits (Assets) Deposits made by the company e.g. FDS, Tender deposits, security deposits etc. d) Loans and Advances (Assets) Any loans or advances given by the company. Loan to ---- is always an Asset. e) Stock-in-Hand Opening and closing stock. f) Sundry Debtors All the parties to whom goods are sold on credit and amount is receivable from them. g) Current Liabilities Anything Payable by the company falls under this groups. h) Duties and Taxes Custom, excise duties, VAT, CST etc. i) Provision Provision for taxation, depreciation etc. j) Sundry Creditors All such parties from whom goods are purchased on credit and to whom amount is payable. k) Fixed Assets All the long term Assets e.g. Land and Building, Plant and Machinery, Computers etc. l) Investments Shares, debentures, bonds etc. m) Loans (Liability) All such loans taken by the company i.e. secured loans, unsecured loans, overdraft facility etc. n) Suspense Account Advances or expenses for which account head can be decided only after submission of bills. o) Miscellaneous Expenses (Assets) Company formation expenses. p) Branch / Divisions Company's branches or sister concerns. q) Sales Account Sale of goods and sale return. r) Purchase Account Purchase of goods and purchase return. s) Direct Income Income directly related to sales or professional fees. t) Indirect Income e.g. Interest received, Dividend received etc. u) Direct Expenses Which directly affect the production e.g. wages, transport and Octroi, Factory rent etc. v) Indirect Expenses All the Administrative Expenses such as salary, telephone, printing and stationery etc. You can also create a New Group under the predefined group if you want. - Net Debit / Credit Balances ' Set 'No' to display both side balances. But you cannot alter the parent of a predefined group. But you cannot delete predefined groups or groups having subgroups or ledgers under it. And you cannot delete groups in Multiple Alter mode. 1) Cash account 2) Profit and Loss account. - Mailing Details You have to give these details if you are opening the accounts of Debtors, Creditors or Advances. - Tax Information PAN / IT / TIN numbers. YOU CAN CONFIGURE THE LEDGER SCREEN BY PRESSING F12. Deleting a Ledger It can be deleted only in alter mode by pressing 'Alt + D' and it can be deleted only if no accounting transaction has taken place. i. Under Group : Type the name of the group under which you desire to create the ledgers. iii. Under : It will take the copy of the same group-name, which you have recently selected for Under Group Screen in the current screen. iv. Opening balance : Type the opening balance. v. Dr/Cr : Specify whether Debit or Credit balance. 4. Jan 4. Cash received from shyam 2950/- and discount allowed to him . Cash and P&L ledgers already created in tally. Sharma’s A/c - Sundry Cr. Shyam’s A/c - Sundry Dr.
Discount Allo. - Indirect Exp. Kumar Bros’s A/c - Sundry Cr. Ramakrishana’s A/c - Sundry Cr. Shivram’s A/c - Sundry Dr.
Office Exp.A/c - Indirect Exp. Charity A/c - Indirect Exp. Salary A/c - Indirect Exp. After Transaction you can check the cash Ledger. Inventory Info Menu contains the following masters to manage Inventory in Tally 9. Allow ADVANCED entries in Masters? Use PART NUMBERS for stock Items? To specify Part No for Stock Items, set to Yes which will prompt a field for Part No. at the time of creation of Items. Use Description for Stock Items? If you wish to input description for Stock Items, set to Yes which will cause a prompt to appear for items. Specify Default Ledger allocation for Invoicing? mechanism for Sales / Purchase. Use REMARKS for Stock Items? If you require additional space for detailed description for stock Items, set to Yes which will prompt a t the time of creation of items. Use ALTERNATE UNITS for Stock Items? If any stock item is measured in more than one Unit of Measure, set to Yes. Tally will prompt for Alternate Unit at the time of creation of items. Allow standard Rates for Stock Items? If you wish to enter standard Cost Price and Selling rates, set to Yes. Tally 9 will prompt at the time of creation of items. Allow component list details (Bill of Materials) ? If you wish to input component details for any item set to Yes and Tally will prompt at the time of creation of item. If you require to specify Godown address, set to Yes to get a prompt at the time of creation of Items. Groups like Hard Disk, Monitor, Keyboard etc. Again sub-groups may be created in each group e.g SATA Disk, IDE Disk. Thus you can next groups to any level. Here is an example of Stock Groups for Computer Dealers. In Stock Groups, Sub-Groups & Stock Items are presented in a hierarchical manner. Under: Al list displaying existing Groups appears to select from. To create Primary Group, select Primary. Can Quantities of items be ADDED? Stock Categories offer the benefit of classifying an Item in another dimension. The concept of Stock Categories may be utilized in effective way once you have understood its implication and how to implement it in your context. You have the facility, it is incumbent upon the user to utilize it. If not properly planned, it may cause wastage of time. Under: A list displaying existing categories appears to select from. To create Primary level group, select Primary. Stock items are the actual items for which you wish to maintain Accounts. Like Accounts ledger, Stock Items are accounted for. Name: Type the name of the Stock Item. Alias: Alternate for Part No. Description: This option will be available if you have activated the option Use Description for Stock Items? Under F12: Configure. You can give descriptive details for stock Items which will be optionally printed in Invoice also. Under: Select the Stock Group under which the Item should be placed. If you want to create the item independent of any Stock Group, select Primary here. Remarks: This field appears if you have configured so under F12: Configure. Enter Remarks for the Item so that while looking for the item you will get this additional information. You can also write information about the item. Units: Select Unit of Measure applicable for the Item. You can skip it by selecting Not Applicable from the list. Alternate Units: If you configure under F12: Configure, this additional option is available. Enter alternate Unit of measure for the item. If you activate under F11: Features, this option is available. Respond yes for those items you wish to track batch-wise details. Track Date of Mfg.? Give Yes if you require to track date of manufacturing for the item. This option will appear if you have configured under F12: Configure Allow Standard Rate for Stock Items. You may value your Closing Stock in different methods including Standard Purchase Cost or Standard Sales Price. These rates may vary periodically. By setting Yes, you can enter Standard Purchase Cost and Sales Prices on different dates. Also you must select a Unites of Measure in order to give rates. These rates becomes standard price list rates, i.e., while entering sales or purchase entries for this item, rates of the day will be automatically picked up. Tariff Classification: Enter Tariff classification under which the item falls. This field will appear when you enter a valid value in the Rate of Duty above. For items which are manufactured or assembled if you wish to input component details (Bill of Materials) set Yes. Which pops up a screen to enter component details. Value. You can split opening stock into multiple batch-wise, Godown wise. Godown is the place to store Goods which may be a warehouse, Rack, shelf, bin or anything. You can extend this concept even to process / contractor / third party job worker. Warehouses, Shed Numbers, Godown Number, Rack Number, BIN Number etc. Address: This option will be available if you set Use Address for Godowns to Yes in the Inventory Masters under F12: Configure. You may enter address for the storage space. Under: If it is primary level godown, select Primary from the list. If the storage space is under any created Godown, select from list. If Allow Advanced entries in Masters is set to Yes in Inventory Masters under F12: Configure, you can input following additional information. If you do not store any materials directly in any Godown, you may set it to No. If you want materials stored in any godown not to be included in stock valuation, set to Yes. Different items may be measured in various units e.g., KG, Metre, Litre, Box, Carton, Dozen, Set, Piece etc. This options allows you to create all such units. Number of decimal places: If the unit can be expressed as fraction, specify maximum number of decimal places required to express. If any Unit is not fractionable, give 0.
permissible range is 0 to 4. If the simple UoM is not sufficient, you may create a complex UoM and specify the conversion factor between them. VAT is an indirect tax on goods. The basic premise of VAT is to tax the true value added to the goods, at each stage of the transaction chain. After creating ledger we will make voucher entries. 1. 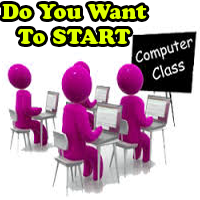 Purchase 5 Computers from Nadeem Khan @ 15000. 2. Computer sold to sanskar bagh No. 3 rate @ 16500. 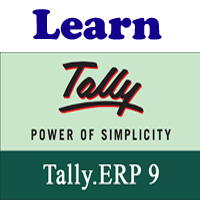 Follow the below steps for interest calculation in Tally. • Than Create another ledger for interest Due. • Now Make the payment entry. Service Tax is a destination based consumption tax in the form of Value Added Tax. Service Tax is a indirect tax imposed on specified services (taxable services) provided by a service provider (Company, Individual, Firm etc.). Service Tax was first brought into force with effect from 1 July 1994. Initially only three services were brought under the net of service tax and the tax rate was 5%. Gradually more services came under the ambit of Service Tax. In accordance with the Annual Budget 2012-13, the current Service tax rate has been increased from 10% to 12%.